macOS Sierra helps you rediscover your best photos, shop faster and more conveniently online, and work more seamlessly between devices. Siri makes its debut on Mac, with new capabilities designed just for the desktop. And that’s not the only way your Mac is smarter. macOS Sierra helps you rediscover your best photos, shop faster and more conveniently online, and work more seamlessly between devices. It can also help free up valuable storage space. Now your Mac does even more for you, so you can do more with your Mac. Added download links for Security Update 2019-001, which is recommended for all users and improves the security of macOS. 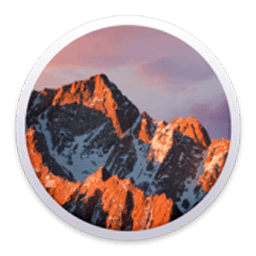 The macOS High Sierra 10.13.3 update improves the security, stability, and reliability of your Mac. Enjoy your favorite features from iOS as well as new ones optimized for Mac. Send messages, create reminders, search the web, and more while you work. Drag and drop or copy and paste Siri results into your documents. Pin Siri results in Notification Center and reference them later. Find files, adjust settings, and get system information just by asking Siri. Copy a quote, image, or video from an app on one device and paste it into an app on another device. Log in to your Mac automatically when you wear your Apple Watch — no need to type your password. Use Apple Pay to make easy, secure payments when shopping in Safari on your Mac. Complete your purchase with Touch ID on your iPhone or with your Apple Watch. Automatically store all the files on your desktop and in your Documents folder in iCloud, and access them from all your devices. Keep the same desktop and Documents folder on your other Mac. Automatically store seldom-used files in iCloud, where they’ll be available on demand. Additional tools help you remove files you don’t need, to save even more space. Use tabs to manage multiple windows in Maps, Pages, Keynote, Numbers, and more. Work with tabs in your favorite third-party apps — no developer adoption required. Float a video window from Safari or iTunes over your desktop as you work. Place the Picture in Picture window in any corner, and it stays put when you switch spaces or work in full screen. Enjoy favorite and forgotten occasions from your photo library with Memories. View your images by who’s in them. Photos uses advanced face recognition technology to automatically group photos of the same person together. Search your photos by what’s in them, such as beaches, dogs, or concerts, thanks to intelligent search that can recognize objects and scenes. Track your photo expeditions across an interactive world map. Easily navigate your library with the redesigned Apple Music. Discover great new music thanks to expert curation and advanced machine learning that give you the best recommendations. See web content previews and watch web videos right in a conversation. Respond to messages with quick, handy Tapbacks. Express yourself with 3x larger emoji. View the stickers, Digital Touch, invisible ink, and handwritten messages that friends send from their iOS devices. Windows 10 includes many improvements for desktop and users on the go: the return of the Start Menu, Cortana, Task View and much more.